The Association is one of the largest non-government organisations in Northern Cyprus. It is non profit making and aims to promote understanding and mutual respect between the expatriate and Turkish speaking communities. 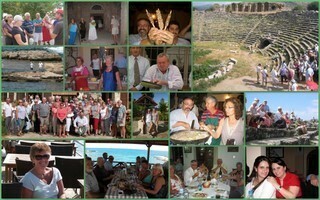 Membership is open to all people who reside, either permanently, temporarily or for part of each year, in TRNC. The Association has important cultural, educational and charitable aims, it also organises social events. Throughout the year (with the exception of July and August) it organises a range of activities such as social gatherings, lectures, seminars, concerts, exhibitions and excursions. These are also open to non-members. Funds raised from these events together with membership fees are used to fund approved projects within the community. Copies of the constitution are available from the Membership secretary – via email to: atamail13@gmail.com or viewed on the ATA website. and the many businesses who allow us to place our posters in their establishments.